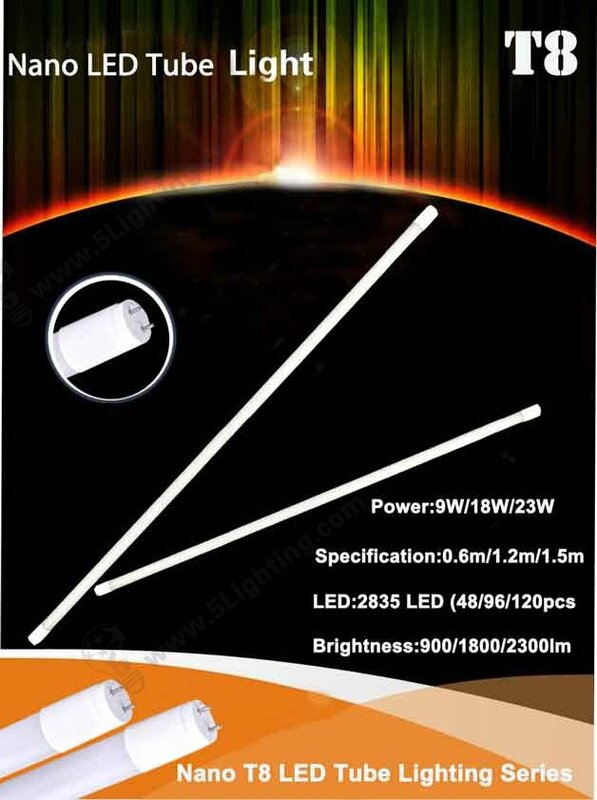 Nano LED Tube Lighting Series have better light transmittance and can emit softer lighting. Because it adopts nano as material which spreads light more uniform, and it softens the led tube that can reducing the glare emitted. This Nano light transmittance is more than 92%, thus, with the same luminous efficiency LED chips, Nano led tube provide more well-illuminated which much better for clients eyes. Nano T8 LED Tube Lighting Series bending endurance is twice better than halogen led tube which have better strength and endurance. Even though under high temperatures, they don’t change shape at all. Nano LED Tube Lighting Series not only have beautiful appearance, but also have good performance, which remind uncharged for a long time at the straightness, length change, non-discoloration and transmittance under the condition of high temperatures and oxidation test. Nano T8 LED Tube Lighting Series compared with glass LED tube, which price is 80% of glass tube, reducing unnecessary expense to save your cost. And it has own many advantages, such as light weight and better heat dissipation. As for the problem of bending easily, Nano LED Tube Lighting Series have gone though a lot of experiments to solve the puzzle. It adopts new nano as material, a third of the deflection of PC tube reduces the risk of pipe falling off, and the transmittance of new material reaches 92%.